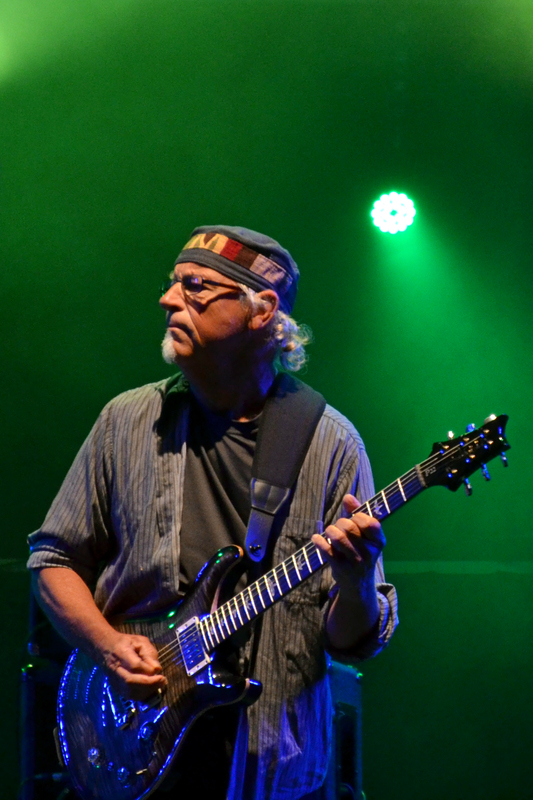 Martin Barre has been the guitarist of Jethro Tull for 43 years, his sound and playing having been a major factor in their success. Album sales have exceeded 60 million units and they continue to be played worldwide, representing an important part of classic rock history. Martin’s guitar playing has earned him a high level of respect and recognition; he was voted 25th best solo ever in the USA and 20th best solo ever in the UK for his playing on ‘Aqualung’. His playing on the album ‘Crest of a Knave’ earned him a Grammy award in 1988. As well as numerous Jethro Tull albums, Martin has worked with many other artists including Paul McCartney, Phil Collins, Gary Moore, Jo Bonamassa and Chris Thompson and has shared a stage with such legends as Hendrix, Fleetwood Mac, Pink Floyd and Led Zeppelin. As Jethro Tull are taking a long break from touring, Martin has put together a band to play the “classic” music from the Tull catalogue. His band is a total commitment to give the Tull fans and a broader audience the chance to hear tracks not performed for many years. The band includes top musicians from a similar background.